Isn’t it fun to be the mother of a little girl and dress her up in some of the cute outfits you can find? There’s something about the infant and toddler girls clothing section that still attracts me, even though we left that stage behind long ago. I’m thinking I need a niece! As my girls grow older, I’m beginning to believe that one of the hardest things about having girls is the lack of modest, appropriate attire available. So far, however, I have found that getting my girls dressed, whatever the occasion, is easier if I have at least these five items in their closet. 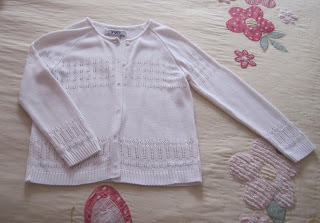 A white cardigan sweater. No matter the occasion, this sweater is perfect for covering bare arms in sleeveless dresses or adding another layer to an outfit in cooler weather. 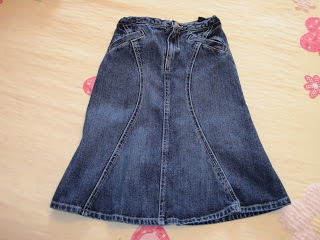 A denim skirt. We have owned these in many styles over the years! This piece is so versatile; it can be dressed up or down and matches almost any top. 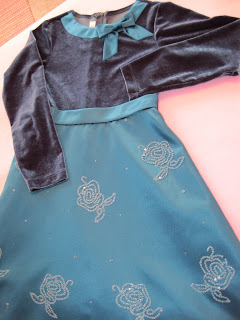 A dressy dress. Long-sleeved in the winter, short-sleeved in the summer, a pretty dress works equally well for church services, a piano recital, or any more formal function. 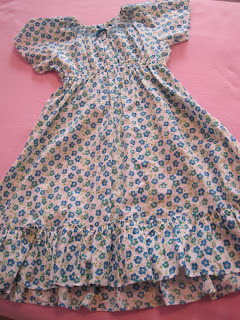 A twirly dress or skirt. What fun can be had with a full skirt that has twirl power! Something pink or “girly” with feminine detailing. We love this shirt because of the cute applique and lacy touches on the sleeves. Admittedly, not all girls appreciate feminine clothing; for awhile, one of my daughters didn’t care much what she wore as long as it was comfortable, but that has definitely changed over the last couple of years. How about your daughter? Is there a particular item that appears in your child’s wardrobe season after season? What’s your favorite place to shop for her clothing? These are some cute clothes! My little girl loves to dress girly(altho comfy is good for just playing outside too). We shop at target, gap kids, children's place, etc and then my mom just ordered some stuff(on sale) from hannah anderson that was modest and cute as well. I think shorts and leggings to go under her dresses is something she has year round probably…it makes such a difference in her being able to play, but still keep things covered! By the way, where do you find your denim skirts? I have a hard time getting long ones in her size. We also keep a collection of bike shorts and leggings for wearing under skirts and dresses. I have found denim skirts at The Children's Place (love the quality of their clothes!) and occasionally at Old Navy or Belk department store. If I'm having difficulty finding one locally, I may check eBay. Mini Boden is another maker of great quality clothes and they usually have one or two skirts in the longer lengths. They are a bit pricey, though, so I usually wait for a sale and just buy a couple of their items per season. I do feel I get my money's worth, though, since I buy them for my older daughter and pass them down to my younger one. I love twirly dresses! I wish my oldest daughter did as much as I do. Maybe my youngest, Lily, will be more girly. thank you for your sweet comment on my blog. We did have a special connection. Blessings! 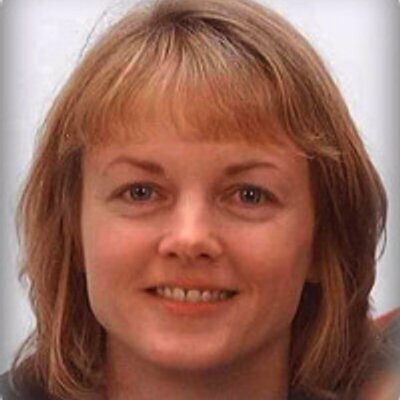 Love this post, Tracey!! As you know modesty and feminity are way high on my list of girls fashions!! Darling clothes you have pictured. My daughter has a couple of cardigans ~ I just love them! She loves wearing dresses too…especially when mommy does! I have been blessed with a family at church handing down several pieces of her girls clothing over this past year. My favorite places to shop are thrift stores and the clearance racks at places like Kohls or Target. Great post! My daughter is all about the pink and the purple. She likes dresses, too, but at four, we're still discussing what's a "play dress" and what's a "fancy dress" that needs to be saved for church, etc. She also likes the bright, fun socks I find in the dollar spot at Target. Most of her clothes otherwise come from the Just Between Friends consignment sales, garage sales, Kohl's and The Children's Place. I am also blessed to have a couple of friends who pass clothes along to us. I do the same for a little girl at church when we're done with them. I need to be more diligent about checking thrift stores; for me it's usually feast or famine! I once found two or three Children's Place skirts in like-new condition for around $2-3 apiece. My girls are still wearing them! 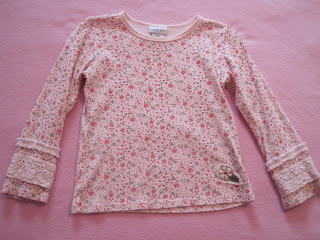 It is sooo difficult to find modest little girls' clothing. A denim skirt & white cardigan are staples in my daughter's wardrobe as well. She loves to dress up, so feminine & pink are always present.